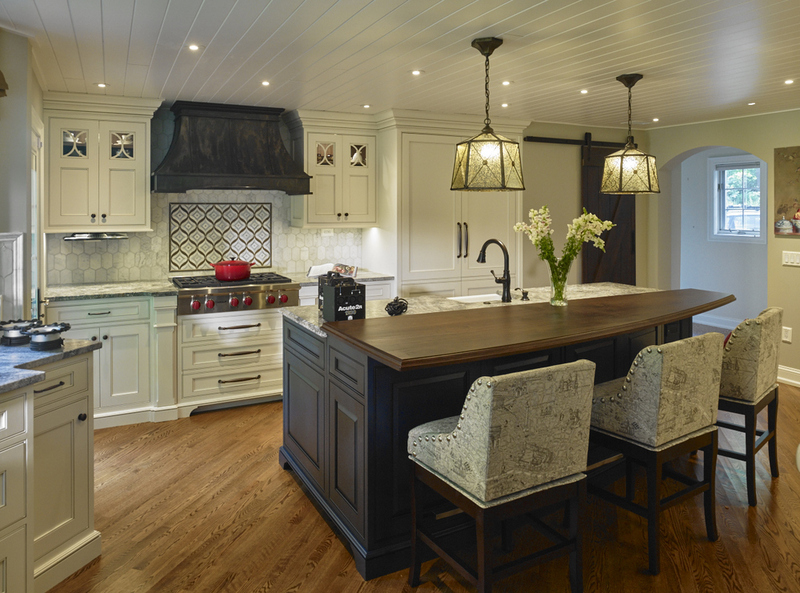 Recently I got to work again with one of my best clients, Village Handcrafted Cabinetry. Their projects are always well designed and crafted, and plus they are great to work with. This time I was to photograph a kitchen shaped like a triangle, which I knew would be somewhat of a challenge. I would have to place my camera in a corner, so no one-point perspectives, and would have limited space to hide any lights. One-points are nice, but not necessary, so that was easy to work around. However, I did fear that I would not be able to use all the lights I wanted. Fortunately, when I arrived on location, I saw one of the kitchen walls was all windows and each corner lead into another room, hallway, or garden. So, with space being limited in the kitchen, I would be able to place lights outside. Now it was time to compose my first image. To start, I went after the main show, the cook top and hood, which I composed with an unobstructed view while also showing the full island and depth into the hallway. My goal was to pull the viewer’s eye to the cook top, and what better way then to add a little sunlight. So first I placed my Profoto Narrow Beam Reflector, gridded, outside behind and left to camera. Aiming it through the window, I lit the range, backsplash and counter. It also splashed light on the drawer left of camera, connecting the foreground and background. To reinforce my “sunlight,” I placed a 1x4 foot strip box outside the door on the left. 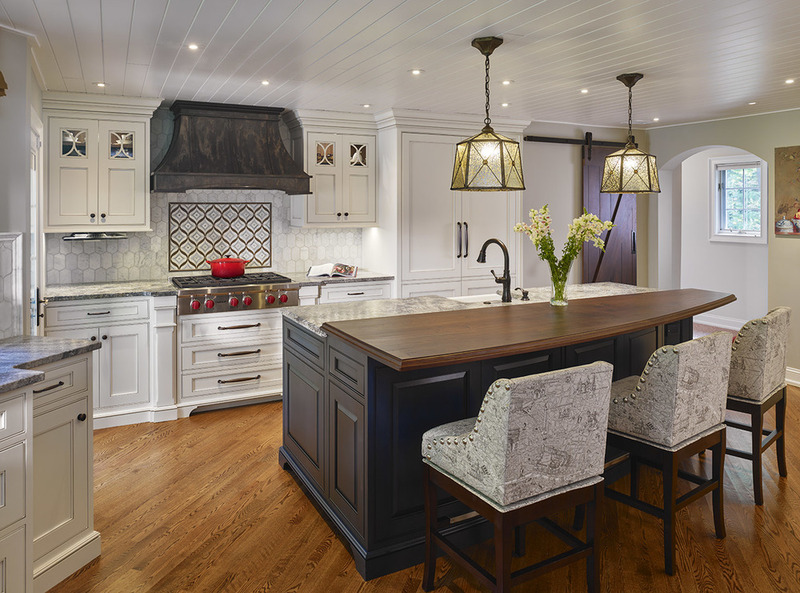 This gave nice cross light and shadows to the kitchen cabinetry/hood, and a stream of light on the ceiling. For more depth, I placed a gridded soft box right of kitchen, softly raking across the hanging door. For fill, a ceiling bounce next to camera and another down the right hallway worked well, and, to add a little extra pop, I lit up the chairs and hood with small Fresnel lights. For the final touch, I cleaned up the color a little in post before sending it to my client for review. Turns out they liked it so much, they will be using it as their new signature image. As always, here are my test shots showing how I built this image.